Skoda Motorsport is expected to introduce their new Fabia R5 model ahead of schedule on the Rally Portugal, end of May, rather than on the Neste Rally Finland in early August. Many changes in the new design have been made including a revised power train, more powerful engine with better response, new suspension design and features various parts said to be interchangeable with the VW Polo GTI R5. It is believed that Skoda have now produced more original Fabia R5s than M-Sport produced Fiesta R5s. M-Sport expect their revised Fiesta R5 will debut in Finland. It is reported that the French federation will allow the latest version World Rally Cars to compete on their rallies on a non-points scoring basis. This is seen as a way to circumvent the strict limitation on testing under WRC regulations. 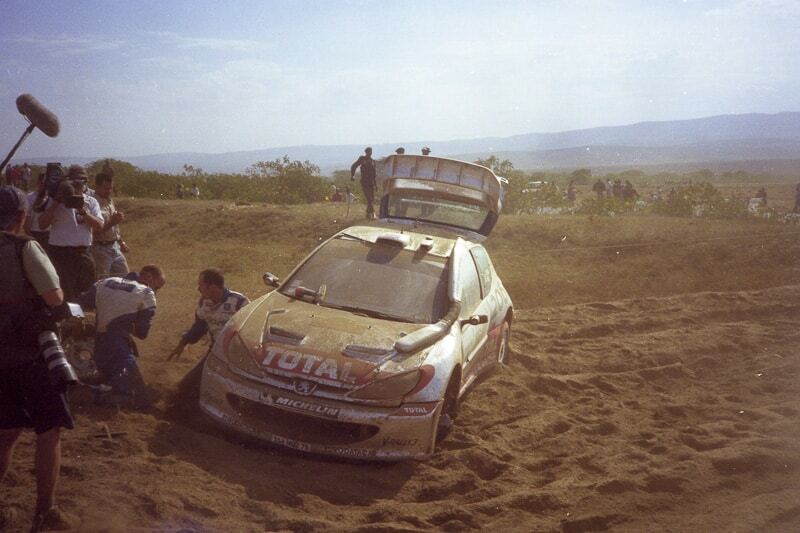 The cars must be entered by an official WRC team and the driver must have previous WRC experience with that car. It raises the question whether Hyundai will use this option to give Sebastien Loeb more time to adapt to the i20 Coupe WRC car. Volkswagen Motorsport is experiencing nightmare troubles with their customer VW Polo GTI R5 cars. Marijan Griebel, Norbert Herczig, Andrea Crugnola, Nicolas Ciamin and Kajetan Kajentanowicz have all suffered serious power steering problems. Although the basic design of the steering is said to be the same as on the Fabia R5, the steering system is installed in a different chassis basis. The FIA Rally Safety Delegate Michele Mouton has been to Kenya to check out plans for the Safari Rally candidate rally (5-7 July). Latest news is that the essentially two-day event will be based at the Lake Naivasha Sopa Lodge Hotel. The first full day will be run on the Elementaita Estate between Nakuru and Naivasha with 180km of stages, the second in the Kedong Ranch region near Mount Longonot further south. It is hoped that the Power Stage will be held at the very scenic Hells Gate National Park close to Rally HQ. The total distance, all of which will be north-west of Nairobi, is expected to be around 500km. Several spectator zones are planned but not on sections run on closed private roads. The start is scheduled to be at the Moi International Sports Centre complex at Kasarani on the outskirts of Nairobi and the finish at Sopa Lodge Hotel. Japanese driver Hiroki Arai, who had been brought to Europe as part of the Toyota driver development programme, but who was dropped in favour of his colleague, Takamoto Katsuta. Arai is to drive in European Rally Championship Junior events and also in Japan events for the Manfred Stohl STARD team. Disappointment on the last long stage of the Trans Itapua Rally, second round of the FIA Codasur regional championship, for Alejandro Galanti’s Toyota Etios. While on his way to victory over Diego Dominguez’s Hyundai i20 R5, his engine stopped for about three quarters of a minute with suspected fuel problems. Finally Galanti was able to finish in second place 8.4 seconds behind Dominguez. 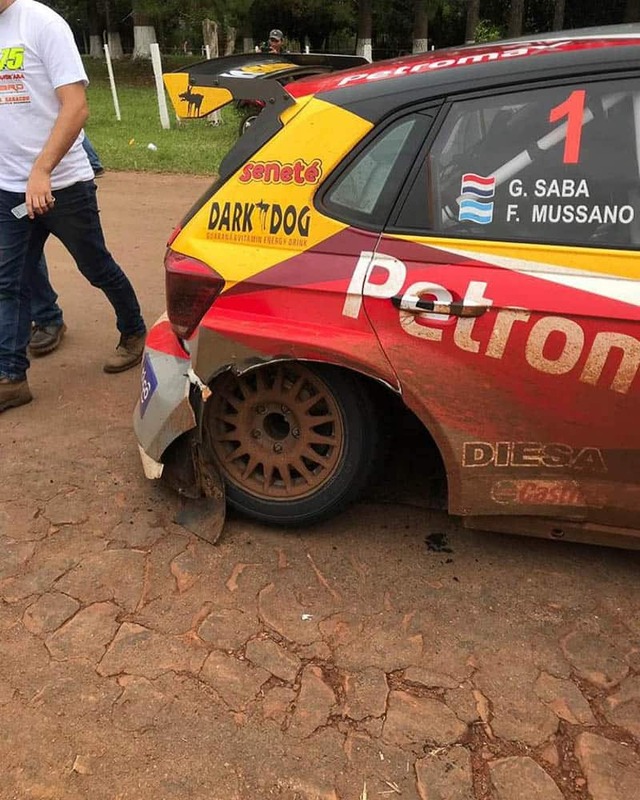 The favourite Gustavo Saba (Skoda Fabia R5) suffered suspension failure on the first day. The rally was based at the Paraguayan town of Encarnacion on the banks of the Parana River, opposite Argentina. Former Subaru WRC driver Xavi Pons won the second round of the Spanish gravel championship, the Rallye Ciudad de Pozoblanco in Andalucia, in his Skoda Fabia R5. Citroens finished 1-2-3 on the wet and slippery opening round of the French gravel championship Rallye Terre des Causses run at the city of Capdenac in Lot. They were headed by the DS3 WRC of Thibault Durbec, the C3 R5 of Yohan Rossel and the DS3 WRC of Lionel Baud. Top non Citroen was the Hyundai i20 R5 of Brice Tirabassi. 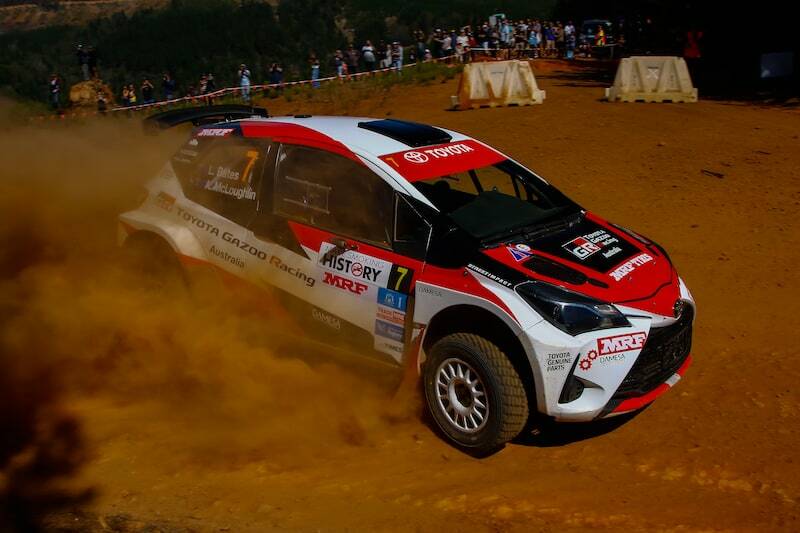 Harry Bates (Toyota Yaris AP4) won both heats in the opening round of the Australian rally championship, the Make Smoking History Forest Rally, in Western Australia. His brother Lewis, teammate in the Toyota Gazoo Rallying Australia Team finished second on both heats. Subaru do Motorsport Team driver Molly Taylor had electrical trouble. The next round of the series will be held on the other side of the country in Canberra at the National Capital Rally, the first event in the championship’s one day series.